It’s been proven that the best form of advertising is Word of Mouth. Do a good job for someone, and they will tell their friends. The J Weekly Readers’ Choice Award tells the whole Bay Area about which businesses are at the top of their field. It’s Word of Mouth on a much larger scale. Show your support for your favorite Bay Area businesses by voting in this year’s poll. You can vote in as many categories as you would like, and of course, we’d love to have you vote for us too! 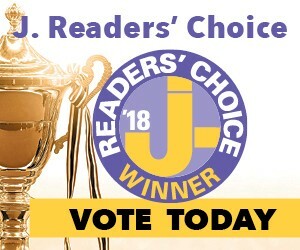 (#21 Non-Kosher Caterer, North Bay) Voting ends August 31st and the results will be published in a special issue of J. on October 5th. To vote now, click here!